From the famous church in The Graduate to the Norton Simon Museum, Ladd & Kelsey, Architects were the maestros behind some of the most famous ‘60s and ‘70s landmarks in Southern California. Noble Places runs through May 26. New hand building ceramics class with studio artist Lowell Nickel. Instructed by artist Amber Stucke, this is an intermediate and interdisciplinary workshop in drawing with a specific focus on plants. All levels 18 years and older are welcome. Gallery Azul celebrates Teacher Appreciation Month by hosting an art show about teachers as artists, artists as teachers. An exhibition of works by Hollywood’s legendary photographer includes more than 60 photographs spanning Kirkland’s career. The exhibition runs through April 21. Connie DK Lane presents a live performance titled, Virtue of Respect in conjunction with her exhibit Linear Amplitude. The show runs through April 29. Index: Painting was curated by Linden to be more than a show, but also a thoughtful study focused on the medium of painting viewed through a postmodern lens. The exhibition will be on view April 13 through May 11. Thornton Ladd and John Kelsey designed several notable SoCal buildings over a 30-year period, including the Norton Simon Museum, Aviva High School, and the California Institute of the Arts. The exhibition runs through May 26. Join the annual Earth Day celebration at White Point Nature Preserve with guests, Jon and Sabine Sherman. With its cultural and ecological insights this program offers inspiration and hope to all who care about the natural world. Create family-friendly art with an Earth Day theme. Bring your own biodegradable chalk and let your creativity flow. At this family friendly event you can shop sustainable vendors and a fresh produce stand, meet the chickens, explore the food forest, learn about microgreens, try healthy food samples and much more. Celebrate the animals that live amongst us and the pets that live and love us in our homes.There will be workshops on bees, butterflies and coyotes. The Harbor Animal Shelter will also hold pets adoptions. Cabrillo Marine Aquarium, Marine Mammal Care Center, International Bird Rescue, and Los Angeles Maritime Institute have joined forces to present an entire day of ocean science activities. Interactive activities on the beach including a nurdle and microplastic challenge with prizes, a sand crab station, a beach wrack station, a bird watching station and grunion hatching on the hour. On board LAMI’s twin tall ships, passengers will have the opportunity to learn about how sailors raised the sails on ships in the Age of Sail. Wildlife experts from Mammal Care Center and International Bird Rescue will be on board to give commentary and answer questions. David Eisenberg spent 11 days in July riding tourist and commuter trains in Switzerland. In his presentation Eisenberg will show you the spectacular Alpine scenery up close and personal. The Uptown Cafe at the Michelle Obama Library Garden celebrates National Poetry Month with poetry, jazz and children’s activities. Join the researchers from the Natural History Museum of Los Angeles County and the Cabrillo Marine Aquarium to explore coastal marine life at Point Fermin, San Pedro. 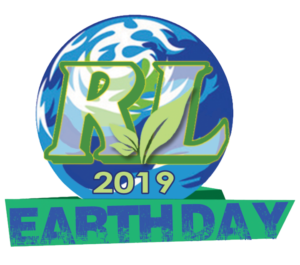 Join Councilwoman Lena Gonzalez for the inaugural Earth Day on Pine Festival. From Downtown to Wrigley, Beach Streets features a 2.5-mile route inviting locals to get out and get active. Enjoy music, food and vendors along the route with various music and family-friendly activities. This community event includes educational activities about the environment, free reusable bags, chickens, bees, bunnies and children’s activities. CicLAvia and LA2050 opens the streets in Wilmington to cyclists, pedestrians, runners and skaters alike to explore as recreational space. Details: 213-355-8500; info@ciclavia.org, LA Bureau of Street Services, 213-847-6000. One of the most successful ways the Bridge Project engages with the community is through construction site tours. To accommodate the growing interest, registrations are open for the second sunset tour. Representatives from the Cal State University Long Beach Rising Scholars Justice Lab and California Innocence Project are featured in this poignant conversation around the experiences of formerly incarcerated individuals. Isaac Bryan lends his expertise on mass incarceration and public policy in the keynote address. Bryan is director of public policy for Million Dollar Hoods, a community-driven research project that digitally maps incarceration in California. Reception to follow. Long Beach City College’s Performing Arts Department presents the dance ensemble’s spring performance featuring choreography by both faculty and students. Palos Verdes Peninsula High School presents their annual Choreo Show. Its exploration of the artistry of the human voice is especially resonant in the era of high tech production values. Come and celebrate the music of Carlos Santana as Fantana plays covers of classics like Black Magic Woman and Evil Ways. Time: 9 to 11:30 p.m. Speak East Cabaret presents Chazzy Green and his crew with guest vocalist Marvin Turner. Creating a groove that’s become the backbone of urban soul, Tower of Power is fluent in all realms of soul, rock and pop with the sophistication of big band jazz. Multi-instrumentalist Micah Wright and his diverse ensemble showcase both the classic piano, clarinet, cello trio and jazzy, virtuosic selections with clarinet, sax and piano. From Waverly, Iowa the Wartburg Choir’sconcert will feature music centered around the strength of the human spirit to overcome adversity. In celebration of the 40th anniversary of the release of Supertramp’s quadruple platinum, Grammy-winning Breakfast in America, Fools Logic will perform the album in its entirety. Time: 8 to 10 p.m. The Express is known for incorporating different genres of music into their repertoire such as swing, Cajun, American country, and classic rock. Time: 8 p.m. to 1 a.m. Enjoy the singing of Storm Large and her band Le Bonheur as they play Broadway showstoppers and classic anthems alongside their own original music. The Associated Students Inc. of California State University Dominguez Hills presents its annual spring fling with musical guest Dom Kennedy. Join this trio of musicians as they play music inspired by American rock ‘n’ roll and blues music. Joe Hall & The Cane Cutters play original and traditional songs in Creole French, in celebration of the release of his new CD, Aye Char Catin. A true feast for the ears and the soul, classical guitarist Lynn McGrath performs selected movements from Platero y Yo in the role of both theatrical narrator and guitarist. The powerhouse Argentinian ensemble Che Malambo celebrates the South American cowboy tradition of the gaucho with percussive dance and music spectacles. Conductor Eckart Preu and Simone Porter join in a highly sensory program from The Long Beach Symphony that includes works by Pärt, Mozart, Golijov and a performance of Korngold’s Violin Concerto by guest soloist Porter. The Dymally Institute and Rainbow Promotions presents a day of jazz, soul, global music, spoken word, visual and performance art and hosted by D.L. Hughley. Time: 1 to 10:30 p.m.
Join the Palos Verdes Peninsula Land Conservancy in viewing the acclaimed documentary Free Solo at the Warner Grand Theatre. Chef Christina Xenos demonstrates how one might extend the good life by preparing dishes from Opa! The Healthy Greek Cookbook: Modern Mediterranean Recipes for Living the Good Life. Afterward, enjoy samples of Chef Christina’s work and sip fine Greek wines. Writers Resist: The Anthology 2018 celebrates its first year. This online journal includes the works of 73 contributors, some not-yet-known, some well-known, and a few notorious writers and artists of the resistance. Join to celebrate the launch of Adrian Ernesto Cepeda’s Between the Spine with featured readers Alexis Rhone Fancher, Joan Jobe Smith and Aruni Wijesinghe. The event also includes an open mic. Poetry Reading in Spanish and English by poets from the Latin-American communities in collaboration with Filipino American poets. When Mary Poppins arrives on the banks doorstep she must use a combination of magic and common sense to encourage the Banks children to drop their silver spoons. A new take on a classic tale, this musical will make you believe that anything can happen. Under the big top at the LA Waterfront, Amaluna invites the audience to a mysterious island governed by goddesses and guided by the cycles of the moon. Venue: Battleship IOWA, under the Blue Grand Chapiteau, 250 S. Harbor Blvd., San Pedro. Franz Kafka’s ingenious metaphor about man’s inhumanity to man is heightened by Phillip Glass’ hypnotic score. Witness the internal conflict: to act or to do nothing. The show runs April 25 through May 5. This one of a kind magic experience puts you up close with amazing musicians who will perform close-up parlour magic that will leave you amazed. are reunited by an ambitious young sportswriter. The show runs April 26 through May 12. Nan tries to show her abusive husband the error of his ways by reenacting scenes of their marriage with her friends. She even tries to make a bear eat him. Celebrated actress Renee O’Connor stars in a reading of Uncle Vanya, a story of thwarted passion and enduring hope. Enjoy an evening with the Torrance Civic Chorale as they perform a selection of new music by young composers, plus favorite enduring standards. For this special evening the chorale will be joined by an orchestra. The true story of astronomer Henrietta Leavitt, who made brilliant advancements while facing gender discrimination. Time: 8 p.m. Fridays and Saturdays, 2 p.m. Sundays, April 6 to May 4.